L to R: Mary Reardon, MPI; George French, Silver Spring Historical Society (SSHS); Diana Kohn, Historic Takoma; Robin Ross, Silver Spring resident; Jerry A. McCoy, Silver Spring Historical Society; Allen C. Browne, photographer and resident; Lysette House, FOLSS; Marcie Stickle, SSHS; Wendy Woodland, MPI. After decades of separation, the Silver Spring Post Office and the historic mural “The Old Tavern” again share the same address. 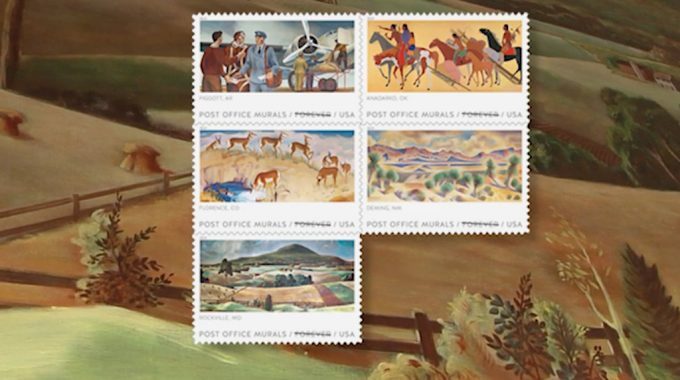 The mural was painted in 1937 by emigre Nicolai Cikovsky for the Silver Spring Post Office. The 6’x16’ oil on canvas depicts black and white Civil War Union soldiers, 1864-65, reading mail and relaxing in front of the Eagle Inn, which stood on the SW corner of present day Georgia Avenue and Colesville Road, in the village then called Sligo. In 1994 Silver Spring resident Jerry McCoy searched for and unearthed the mural, partnering with Friends of the Library Silver Spring to raise funds for its 1997 conservation and dedication. McCoy founded the Silver Spring Historical Society in 1998. 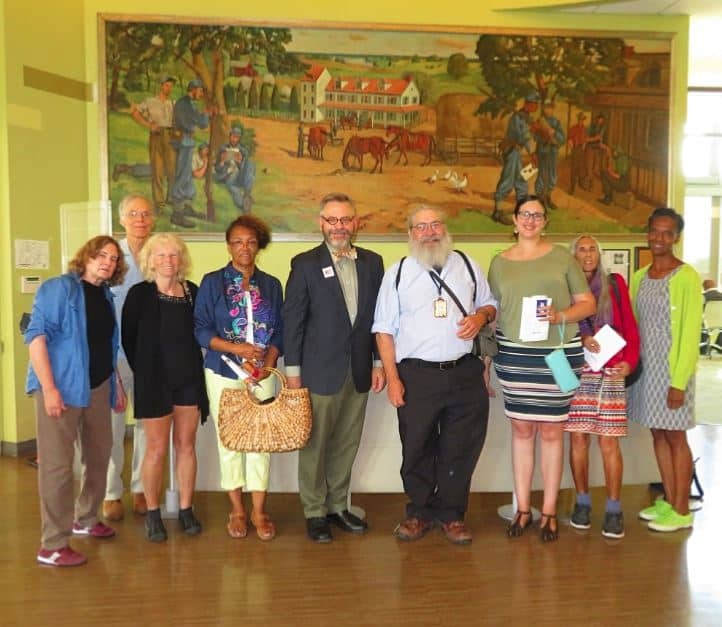 In 2015, “The Old Tavern” was cleaned and reinstalled in the new Silver Spring Library, with funds raised by Friends of the Library Silver Spring Chapter (FOLSS). On August 31, 2018, the U.S. Postal Service held a ribbon-cutting event for the opening of the SS Post Office at 900 Wayne Avenue. John Sery of Montgomery Preservation (MPI) captured the moment for the December 2018 FOLSS newsletter.